If you know what you want you can browse all our liveaboards or search by destination and date. This page is about what to expect on liveaboard diving and how to choose a liveaboard that suits you. There are many forms of liveaboard diving boat, but essentially, the aim of each boat is much the same: to enable their customers to dive multiple sites over a large area in comfort and in many cases – extreme luxury. On this page we explore some of the notable scuba liveaboard destinations. We also touch on scuba diving cruises which offer fewer dives, but more cruising combined with land tours in what some might consider better-balanced scuba cruise vacations. Liveaboards in the Maldives can reach many of the top dive spots in a short time. Most offer one to two week expeditions are almost always accompanied by a smaller Dhoni from where the diving is organised. Dive gear & tank storage along with air refills take place on this vessel. Especially during the extended liveaboard trips, you reach dive-sites which are not visited by other vessels at the same time. See our selection of Maldives Liveaboards here. There are two main areas in Thailand visited by liveaboards, both in the Andaman Sea: the Similans and the area between Phuket and Krabi including Koh Phi Phi. The Similan Islands (Mu Ko Similan or ‘the Similans’) are a group of nine granite boulders in the Andaman Sea, 55km west of Khao Lak, accessible via liveaboard from Khao Lak and Phuket. Slightly further north is the fabled Richelieu Rock in Surin National Park (Mu Ko Surin). Often the two groups are combined into a single trip that takes a week, and are collectively considered the best places to go scuba diving in Thailand. Certainly, Richelieu Rock would be considered within the top 10 dive sites in the Asia Pacific region. Liveaboards in Indonesia concentrate mainly the areas of Raja Ampat, Komodo and Ambon. Komodo National Park in Indonesia encompasses an area between Sumbawa and Flores and includes the main islands of Komodo, Rinca, Padar and a number of smaller islands. There are two distinct environment zones, the warmer clearer north and the cooler south, resulting from the north to south flow of water from the Pacific into the Indian Ocean. There is often current on dives, but it is the upwellings caused by these currents that bring forth the abundant marine life, from the ever present anthias to the reef sharks and other large predators. 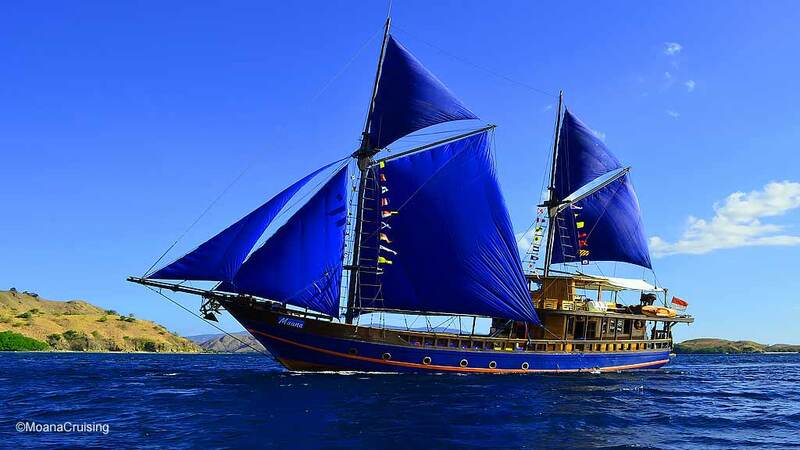 There are many Liveaboards in Komodo, and Moana Cruising is a good example of the traditional style liveaboard, and one that operates exclusively in Komodo. You can compare all the Komodo Liveaboards here. Raja Ampat in Indonesia is smack bang in the middle of the the Coral Triangle and being both remote, and having one of the lowest population densities makes this area simply stunning in respect of the unspoilt nature of the marine environment. It breaks records for biodiversity of all types of species from coral to fish. The name means four kings for the four major islands that make up Raja Ampat – Batanta, Misool, Salawati and Waigeo. Most itineraries start and end in Sorong, though some are one way and end in Waisai, or even Ambon. The waters of Raja Ampat are warm year round (28-30°C), and the most reliable time to enjoy calm seas is mid-October to mid- December. Mid-June to mid-September can have ferocious winds and therefore horizontal rain. You can compare all the Raja Ampat Liveaboards here. 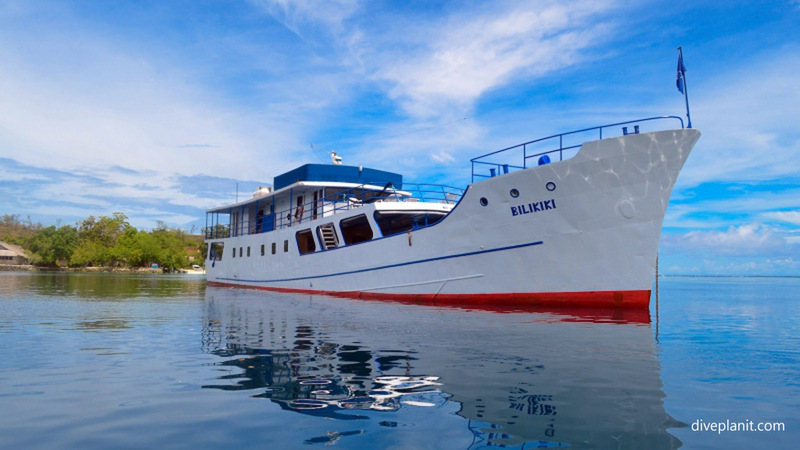 The Solomon Islands has just one liveaboard, the Bilikiki, which you can read about here. (Note the MV Taka is operated by the Masters group who are planning new itineraries for it in PNG). The Bilikiki has short and longer itineraries that cover some of the best scuba diving destinations in the Solomon Islands: Russell Islands, Mary Island, Florida Islands and even up around New Georgia, including many sites only accessible via liveaboard diving trip. Departures are from the very convenient Honiara Yacht Club and their itineraries and pricing are available here. The MV Chertan and MV FeBrina have long been operating in PNG’s waters, with very experienced skippers who know all the best places to go. Both are listed here. Itineraries include the northern Coral Sea, Milne Bay and northern PNG. 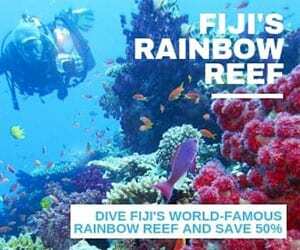 Though Fiji has a lot of resorts that offer diving on their local reefs, but to visit the best dives in one trip, a liveaboard is the best way to go. You have two excellent options: the Nai’a and the Fiji Aggressor. Both are listed here. The Nai’a cruises the amazing soft coral havens of Bligh Water and the Namena Marine Reserve, while the Aggressor, based in Suva, explores the Astrolabe Reef, the third-longest barrier reef in the world. 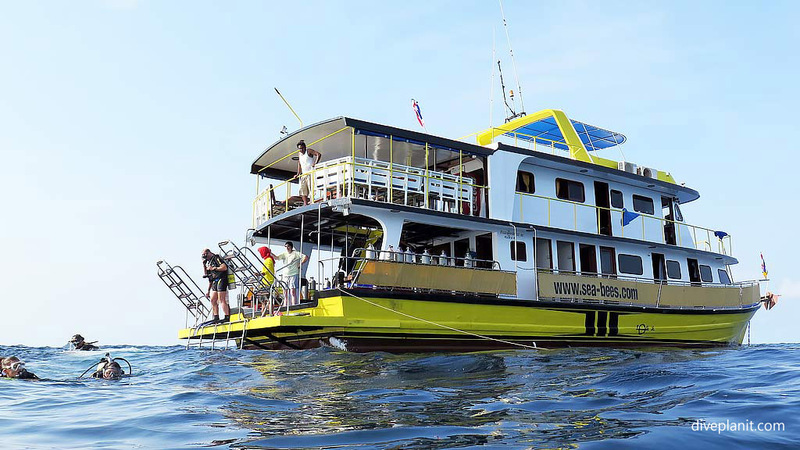 The alternative to a liveaboard dive cruise, is to join a cruise with scuba diving. Often the big cruise liners will stop in ports that offer scuba diving as a ‘day trip’. Much better are the small ship cruise lines such as Captain Cook Cruises Fiji which offer a much more intimate and cultural experience, but also, diving directly from the mothership. This allows you to mix and match the land tour opportunities with scuba diving in a balance that’s right for you. Palau also has a number of liveaboard vessels departing Koror and sailing to the best scuba diving locations around Palau. 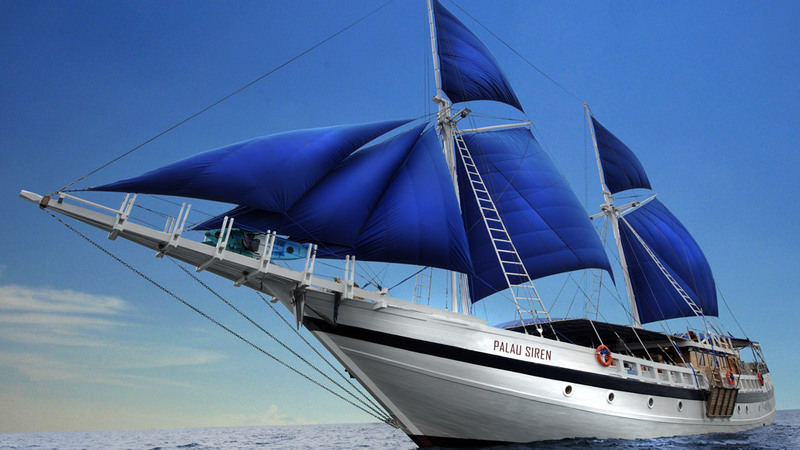 You’ll find a full list of the Palau liveaboards here. Mike Ball’s Spoilsport Liveaboard runs regular trips up the Great Barrier Reef and into the Coral Sea. Advocates of Mike Ball’s Dive Expeditions cite the overall great customer experience, the attention to detail and the ocean advocacy philosophy as their reason for booking repeat trips. The Spirit of Freedom is another excellent choice for 3, 4 and 7 day trips to the far north Great Barrier Reef and Coral Sea. By contrast, on Deep Sea Divers Den’s Ocean Quest Liveaboard, which operates on the Ribbon Reefs closer to Cairns, you can stay for as few, or as many days as you like. Each day, the Sea Quest day boat rendezvous with the Ocean Quest to transfer guests back to Cairns. Read about that experience here. You can also search a list of liveaboards from all round the world, and narrow down by destination and date, here. Happy hunting – there is a very long list! Finally, here are some of the things you might want to take into consideration before deciding which liveaboard cruising company to book with. Some companies are more focused than others on sustainability and giving back to the communities in whose seas their guests dive. These are simple questions, but in many cases you will need to ask specifically, as the answers are typically not on their websites. Are the boats built locally, supporting local traditions of boat craftsmanship? Are the crew and dive guides local employees? Where and how do they source their fresh water and produce? What are their recycling and waste disposal procedures? Do they discourage guests from touching or harassing marine life? Do they support any local outreach programme such as a school or medical facility?